JOLLY 102 is a smartly conceived automatic PHOTOMETER equipped with a sophisticated software with graphic presentation, that brings new dimensions in testing of routine clinical chemistries, special chemistries and STATS and Immunoassays. Ideal in any size clinical laboratory. Smartly designed graphic presentation on the display will guide the operator step by step through all operations. User friendly and simple to operate. Up to 150 user programmable chemistry methods and over 300 test results can be stored in memory. The software offers a choice of 5 languages. 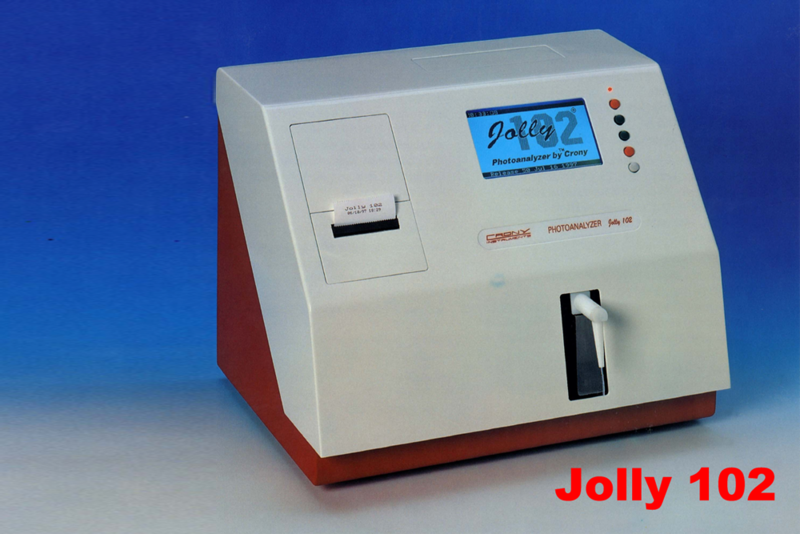 JOLLY 102 has a well proven optical system fruit of years of experience, linked with a powerful built-in micro-processor that offer a software package only available in much more expensive and fully automatic analyzers, making this little photometer an essential aid in your laboratory.